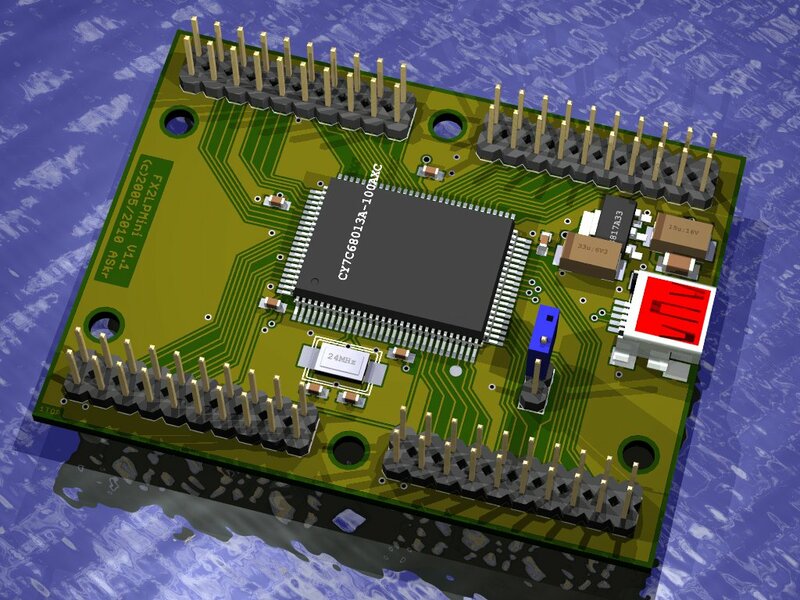 FX2LPMini, just a Cypress USB CY7C68013A MCU (aka "FX2LP") mini breakout board. 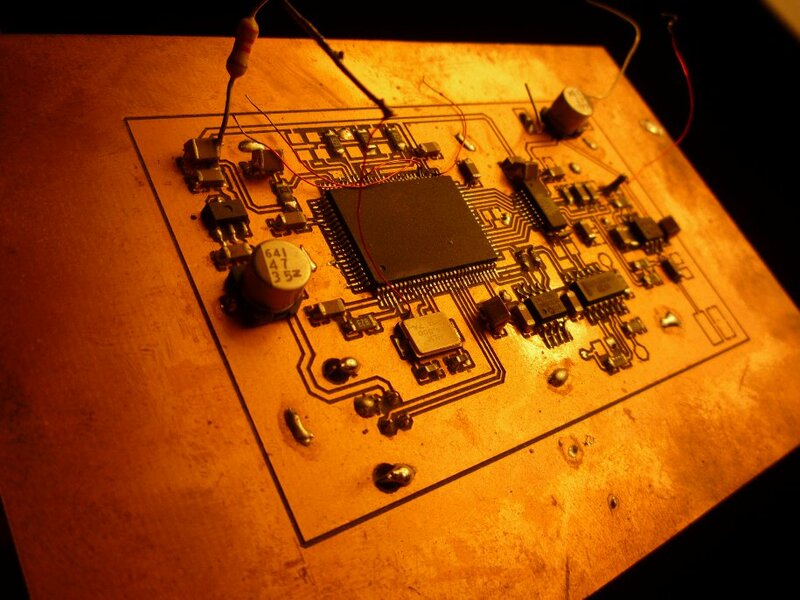 Just a reconstruction from the original 2005 V1.0 version, whose documents were destroyed during a power supply burnout... Fit, form and function compatible. 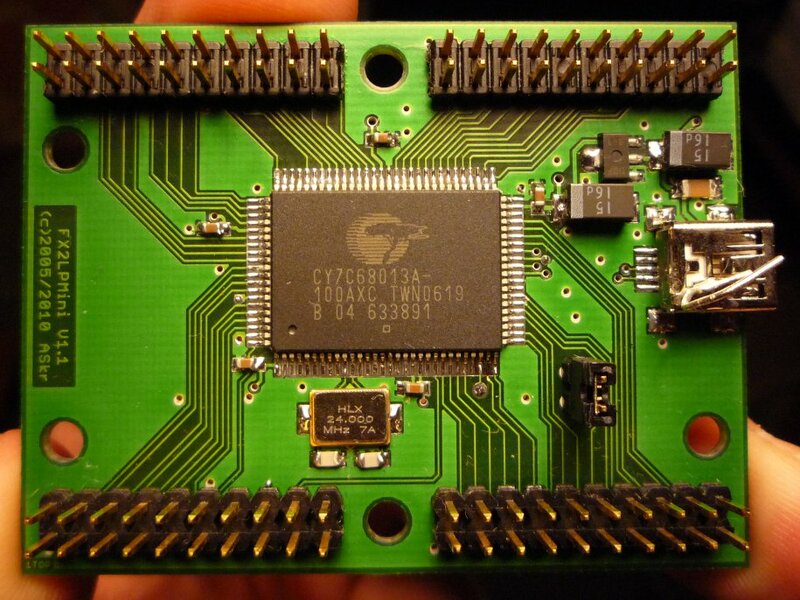 Except for "BKPT", "WAKEUP", "RESET" and USB D+, D-, all MCU pins are routed to the 2.54mm pin headers. JP5 (J1) selects the I2C address of the 24LC02 EEPROM. If no jumper is attached, the address is '0x00', otherwise '0x04'. In this case, you still have the option to "boot" with an external EEPROM if its address is <'0x04'. All four pin headers are aligned such that a 2.54mm prototype board can sit on top (or on the other side if you solder them that way ;-). Beware of short circuits at the connectors! USB's VBUS is directly connected there! (and note #2: Yes, it's VBUS (4.4 - 5.0V), not the internal 3V3 [just in case you missed this]). Some of the original files could be restored from the damaged harddisks. They will be available here (not that much for now ;-).